With an elegant outlook, this modular case is for the ones valuing simplicity. It comes with our FreeForm Modular System Technology allowing user to adjust, customize and upgrade your pc case. 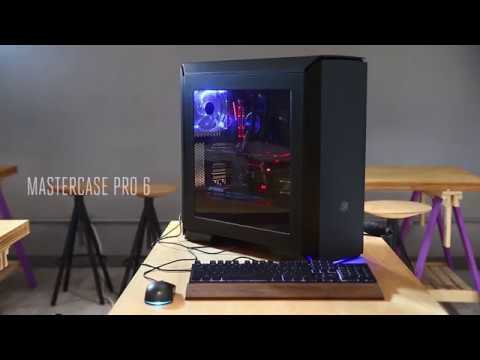 With smooth, flush panels and a large side window, this case will complement softer and more refined home, gaming and office setups. The included Graphics Card Holder and LED Strip are just two of an ever-growing range of accessories available with the MasterCase Series. There’s more to come in the following months as we come even closer to a future-proof, ultra-modular design that you can swap and upgrade through the years without having to buy a new case every time tech jumps forward. Power Your PC Build: Customize. Adjust. Upgrade. Each case comes with a different number of MasterAccessories, from our MasterCase 5 with its basic package, to our MasterCase Maker 5 coming with a wider range of accessories. Buying a basic package always leaves you freedom to enhance your case by buying additional accessories in the future. Features • FreeForm™ Modular System.